We Pay Top Dollar for Eastern Red Cedar! All Red Cedar Is Accepted in Huntsville, AL! 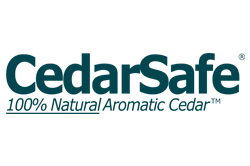 Giles and Kendall, the manufacturer of CedarSafe 100% Aromatic Red Easter Cedar, is looking to procure Aromatic Eastern Red Cedar logs at our Gainesville, Missouri and Huntsville, AL facilities. If you are looking to sell your quality cedar timber, please call or e-mail for pricing and log specifications. No rot or doth. Min log requirements, please call. Buying hours: 7:00 am – 3:30 pm Monday through Thursday. Friday 7 am – 2:30 pm. Directions from Gainesville: Take Hwy 160 East for approximately 2.2 miles. Turn right onto County Road 513 shortly past the city water tower. All grades accepted! No discounts for rot & doth! Buying hours: 6:00 am – 2:00 pm Monday through Friday. Directions: from Huntsville: Head East on I-565. Take US-72 E to Ryland Pike. Take Ryland Pike to Cooper Dr. Turn left on Maysville RD, Giles & Kendall will be on the left. Sell Us Your Cedar Logs!